In this chapter, Strider leads the hobbits into the wilderness in a failed attempt to evade the Black Riders. The chase culminates on Weathertop hill, where Frodo and the Chief of the Ringwraiths stab at each other, with perilous results for the hobbit. This is an exciting and terrifying chapter -- but it's also important for a more subtle reason: it's the first chapter where Tolkien begins to fragment his narrative: he gives various characters different perspectives on the same events, and delays reconciling these perspectives for the reader until much later in his story. Although this fracturing starts out small, like all cracks, it grows and grows -- until it eventually will divide his story into two separate but devilishly interrelated portions: Frodo's journey on one hand and the war in Rohan and Gondor on the other. My argument is that this fragmenting of the story creates increasing tension for the reader -- and when Tolkien finally resolves this tension by giving us the full picture, it provides a great measure of the satisfaction we feel when we read The Lord of the Rings. In "A Knife in the Dark" the fracture begins right away: Tolkien switches perspective to a brief vignette of the the Black Riders invading Buckland and storming Crickhollow. The Shire hobbits blow horns in alarm and the Ringwraiths ride off in search of Frodo. Immediately after this, Tolkien pivots back to Frodo in Bree, whose sleep is troubled by dreams of "galloping hoofs... and far off he heard a horn blowing wildly." This is just a tiny crack: two different perspectives on the onrushing wrath of Mordor. As Frodo lay, tired but unable to close his eyes, it seemed to him that far away there came a light in the eastern sky: it flashed and faded many times. It was not the dawn, for that was still some hours off. ‘What is the light?' he said to Strider, who had risen, and was standing, gazing ahead into the night. Frodo lay down again, but for a long while he could still see the white flashes, and against them the tall dark figure of Strider, standing silent and watchful. At last he passed into uneasy sleep. "I galloped to Weathertop like a gale, and I reached it before sundown on my second day from Bree-and they were there before me. They drew away from me, for they felt the coming of my anger and they dared not face it while the Sun was in the sky. But they closed round at night, and I was besieged on the hill-top, in the old ring of Amon Sûl. I was hard put to it indeed: such light and flame cannot have been seen on Weathertop since the war-beacons of old. "At sunrise I escaped and fled towards the north. I could not hope to do more. It was impossible to find you, Frodo, in the wilderness, and it would have been folly to try with all the Nine at my heels." 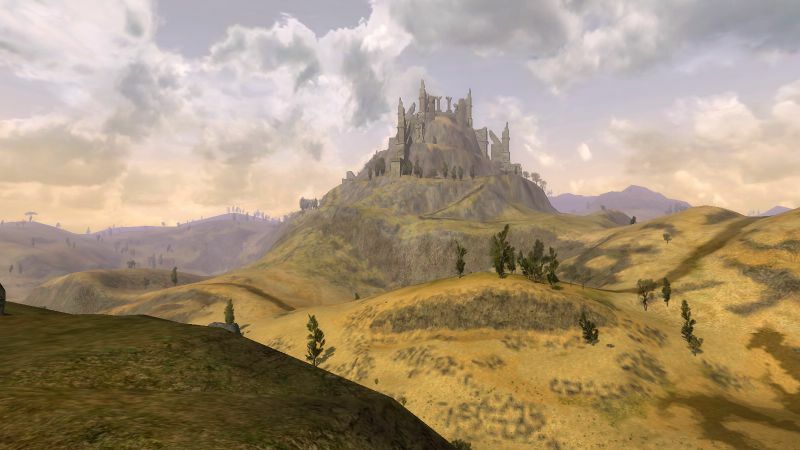 It's also at this time that we learn that all the while that Strider and Frodo were venturing through the wild hoping to find Gandalf, Gandalf was also looking for them, sometimes just behind them and sometimes just ahead. Although Tolkien largely keeps us in the dark about Gandalf's half of this dance of miscues, he does tantalize us (and Frodo) with hints, like the strange sigil that Gandalf left on Weathertop or Glorfindel's tokens on the Bridge of Mitheithel. The drama of this fracture is tremendous. All that Frodo (and the reader) want is to know what happened to Gandalf. And indeed, what reader doesn't crave a description of exactly how Gandalf fought off the Witchking with his magic when they met on Weathertop. And yet this is precisely the information that Tolkien withholds. He teases us, and then ultimately leaves it to our own imagination to tell us what Gandalf's conjuring looked like up close. This is masterful restraint on Tolkien's part. Escaping a wound that would have been deadly to him as the Mordor-knife to Frodo (as was proved in the end), he withdrew and hid for a while, out of doubt and fear both of Aragorn and especially of Frodo. In these papers, Tolkien also makes it clear that the Witch King was confused and scared by the fact that it wasn't Aragorn who was bearing the Ring. If this strange creature Baggins had the Ring instead of the mighty Aragorn, it meant that in some way Baggins was even more powerful than the lord of the Dunedain. How's a Nazgul supposed to cope? How's a Nazgul to cope? Well, to return to my main point: the fracturing of the narrative starts out small, but it will grow to be one of the defining elements of the book. And just like in this chapter, some of the most interesting perplexing incidents in the trilogy will come when two or more separate narratives intersect: to give a later example, consider when Frodo struggles to remove the Ring on the summit of Amon Hen. The passage is obscure, until much later when we learn that Gandalf the White was striving with Sauron over control of Frodo's will (compare Book II, Chapter 10 for Frodo's perspective on this, and Book III, Chapter 5 for Gandalf's view). Tolkien's willingness to fragment and overlap his characters' perspectives is a daring and modern approach to structuring a novel, and I'm not sure he gets enough appreciation for it. So, props Professor T.
You can find my commentary on Chapter 10 here. Tolkien's control of the narrative is why I think he is the greatest writer of the 20th century. Glad you're keeping up with these posts. I was worried. Excellent read, thanks for the commentary. Once again, delightful piece of read, thank you. Superb! I like the introduction of the fractured narrative at this point, although arguably we see its motif rise earlier - a chapter that focuses on a knife is a poetic place to situate it, and indeed the modernness (or indeed post-modernness) of the novel is sorely overlooked. Tolkien's revision of the scene is fascinating, thanks for digging that up. Somewhat predictably, I disagree with the Prof. My take on the defeat of the Ringwraiths at Weathertop is that they are not yet the Nazgûl - their textual construction as such hasn't happened, and they are still Black Riders - the sniffing, crawling things that haunt the Shire and Hobbits nightmares. 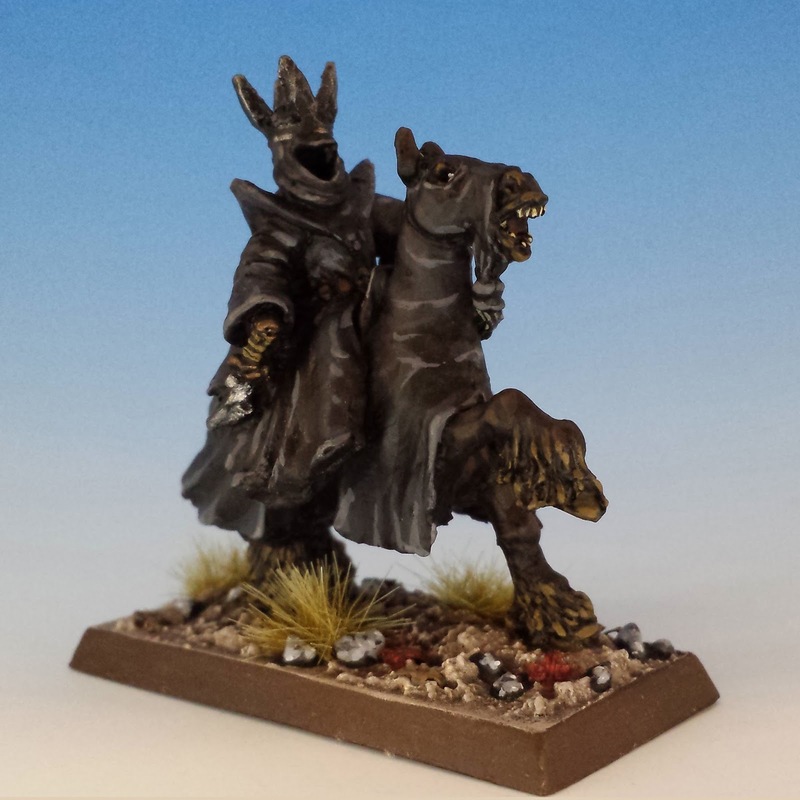 Frodo's pale king is as much a memory of the barrow as a description of what he sees. As such they are not yet part of the wider world and are still simple folkloric bogeys, shadows that haunt the ancient places, afraid of fire. The Ringwraiths defeat at the Ford of Bruninen subsequently sees them destroyed and then both texturally and figuratively return as the Nazgûl as Gandalfs 'learned' worldview becomes a more dominant voice in the text. To me it repeats the transformative theme of being struck down and then coming back more powerful than one could possibly imagine, that Tolkien repeats with Gandalf himself. Glad you've returned to the read-along, and sharing your insights. Look forward to more!